We doctors often like to think of ourselves as knowing and rational but we’re fallible and sometimes gullible just like everyone. Just look and see how easily we lap up drug-industry sponsored research and PR relating to all ‘wonder-drugs’ and other advances. Often, drugs are licensed and marketed on the basis of their impact on what are known as ‘surrogate markers’ such as blood pressure, blood sugar levels or cholesterol levels. The problem is, reductions in surrogate markers do not always translate into benefits for health. Last week I wrote a blog post which included an ever-lengthening list of drugs that have supposedly beneficial effects on blood fat levels that don’t appear to help health and in fact may even harm it. However, even when a drug appears to benefit health, its benefits will almost certainly be touted on the basis of its ability to lower ‘relative risk’ of something. For example, we very often hear that statins (the most popular cholesterol-reducing drugs) reduce risk of heart disease by about a third. This effect, expressed like this, generally sounds as impressive to ‘patients’ as it does to the vast majority of doctors. However, not all doctors are taken in by this sort of guff. Some realise that reductions in relative risk don’t matter much when overall risk is low. Let’s say your risk of having a heart attack over 5 years is 3 per cent. 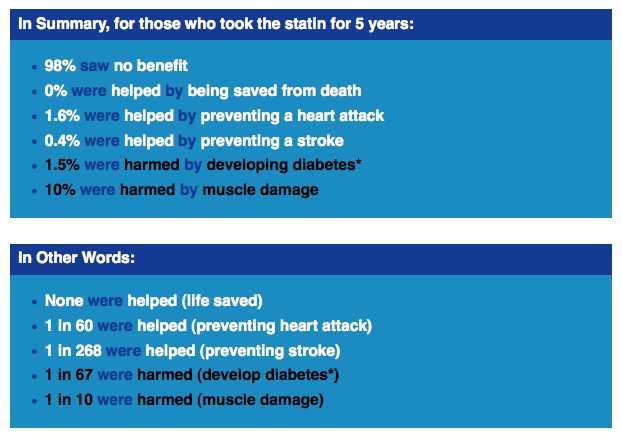 Let’s say a statin reduces that risk to 2 per cent. Relative risk has fallen by a third, right? But the real reduction in risk (known as the ‘absolute risk reduction’) is just 1 per cent (3 per cent minus 2 per cent). Suddenly, the firepower of statins looks less like a bazooka and more like a peashooter. In my view, one of the best ways to calculate the true value of a drug or treatment is via the ‘number needed to treat’ (NNT). The NNT essentially asks how many people would need to be treated for a given period of time to prevent one of them from having a pre-specified event. Using the above example, let’s ask how many people would need to be treated for 5 years to prevent one heart attack. The NNT is calculated by dividing the absolute reduction in risk into 100. So, using the figures I’ve quoted about, the NNT = 100. I’ve made up the figures quoted above for ease of example, but in reality they are not far from the truth. In individuals with no known cardiovascular disease (e.g. no history of previous heart attack or stroke), NNTs to prevent a heart attack over several years are often in the order of 50-100. Some fine young doctors in the US have developed a website specifically based on NNTs and have assessed the effectiveness of statins for essentially healthy individuals here. The doctors have done the same for common side-effects of statins too. Here’s a screenshot of the summary of their findings. And here’s a screenshot of a summary of the summary, where the authors assess whether or not the benefits of a treatment outweigh the risk. Their conclusion is that they don’t. Cholesterol-lowering foods even more cholesterol-lowering than first thought, but so what? I’m a med student and I’ve noticed that the majority of elderly people in the hospital are on statins, including the women. If this data is correct then these drugs are doing them more harm than good. I doubt many doctors know about this. Anglela, I always laugh when someone says “I have been put on ………whatever medication” you might have been given a prescription but who is making you get it filled and take it?? If you do anything out of fear or if you are being bullied by your doctor or health benefits service then maybe you should stop and think ……….do a bit of research to see if there are other ways or natural things to try that do no harm (most of these are researched by other doctors, so it boils down to which doctor you want to believe) take your own power back discuss this with your doctor and if he or she just wants to fob you off with “I’m the doctor I know best” then change doctors. You are the customer you pay these people and if you dont know what sort of service you are buying or you aren’t happy with the attitude then do something about it. Find a doctor who will be a partner in promoting your better health or have no doctor at all. I personally have never been healthier in the the 25 years since I stopped going to doctors and realised that most illness is self induced. Things just dont happen to you, diseases dont just ‘attack’ you out of the blue. Most, including cancer or diabetes 2 or heart disease, have been decades in development due to poor nutrition and a lack of knowledge about how the body works and how much a part stress or your thoughts play in forming your attitudes about your body and health. There are no magic “drugs” they all are foreign substances to the body and they all carry risks. If you “understand” the risks and you still decide to take the drugs then at least there is way more personal power in that than just blindly taking everything shoved at you and putting your life in the hands of someone who hardly knows you at all and has never walked in your shoes and shows no interest in treating you as a whole individual person, but rather a number and a collection of symptoms and or the other myth ‘hereditary’ diseases. I personally want “me” to be treated not a list of things that may or may not relate to me because of an arbartory judgement made by someone I might see 2 or three times a year for 15 minutes at a time. 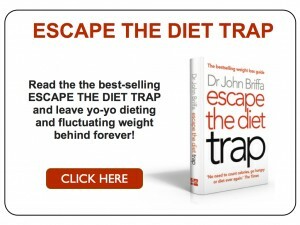 Anyway Good on you Dr Briffa for putting alternative ideas out there and not just being a parrot for the drug companies or the medical establishment. it is really a form of tyranny to treat people as groups and statistics and symptoms and hereditary factors and say that this is how you must go about it or else!!! One of the many discouraging outcomes of the over-emphasis on drugs that are of marginal value and where diet would help, is that those people who see through it, become suspicious of all drugs despite their sometimes miraculous benefits. Even people who think there is benefit for statins at least for people who have already had a CV event, they add the disclaimer that “it is not penicillin,” in other words the standard is drugs that have unambiguous benefit. Kris do a GOOGLE search on Dr. Beatrice Golomb …. Professor Uffe Ravnokv… and a webiste Stopped Our Statins…. these three along with the wonderful work of Dr. John here will be real eye openers for you as a medical student. In time we hope you will be assisting patients without damading them with the use of ultra dangerous drugs. I believe the maxim ‘fisrt do no harm’ still applies today? 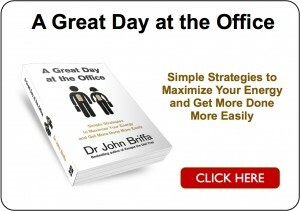 Thanks for uncovering the NNT website, Dr. Briffa.